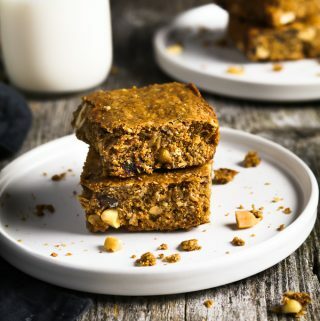 Simple and nutritious – these homemade Peanut Butter Squares are made with wholesome ingredients and packed with protein. This healthy snack will power your day! If you’re on the go a lot, it’s always a good idea to have a healthy snack on hand. Otherwise, we end up making bad choices at the nearest food stop when hunger strikes. 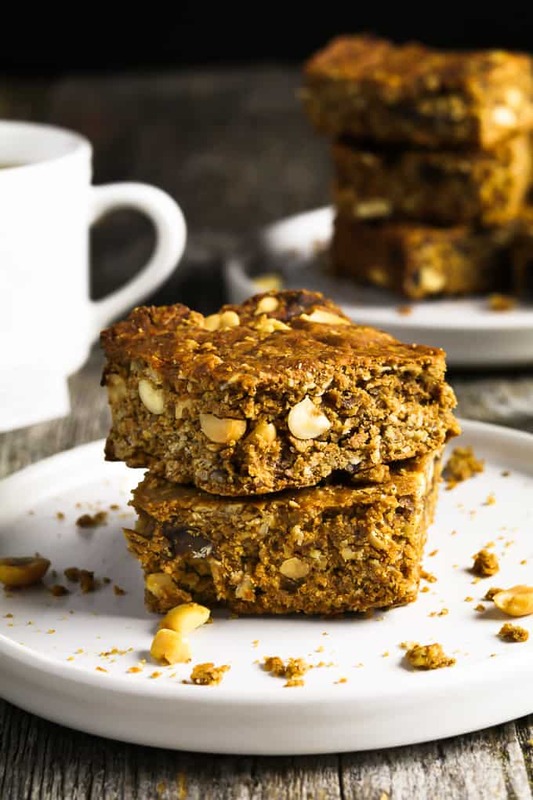 These Protein Peanut Butter Squares are the perfect grab-and-go snack and will keep you going! This recipe is straight out of The High-Protein Vegan Cookbook by Ginny McMeans and I was given permission to share it with you guys. 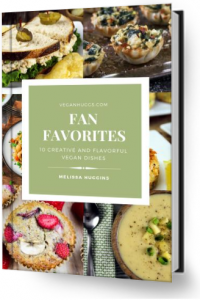 The newly-published cookbook is filled to the brim with hearty plant-based recipes that everyone will love. 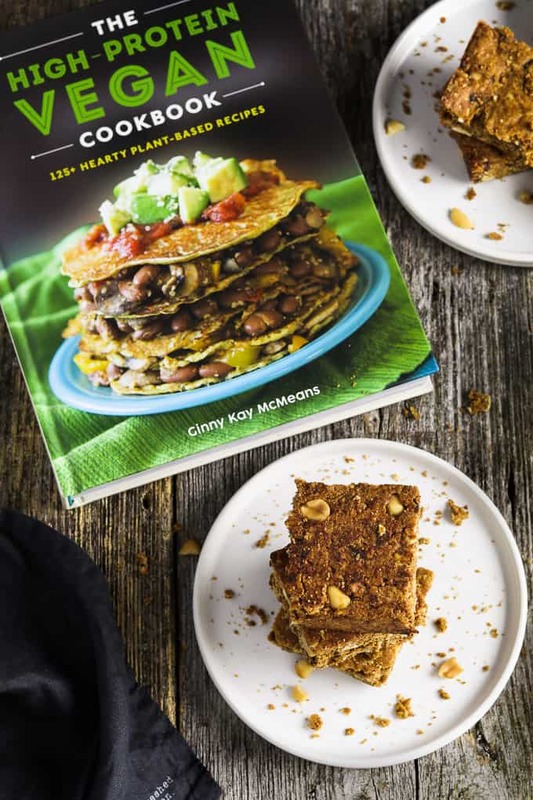 Ginny is a two-time cookbook author and she runs the popular blog Vegan in the Freezer. She’s well-known for her freezer-friendly recipes that are wholesome and delicious! Inside you’ll find over 125 high-protein recipes that are broken down into 6 chapters – Power-Up Appetizers, Breakfast Power, Lunch Bowls, Chilies and Sandwiches, Portable Snacks, Protein-Packed Dinners, and Let’s make Seitan. Ginny also discusses the many sources of plant protein and breaks down the amount per serving. Plus, there is a gorgeous photo that accompanies every single recipe in the book! You’ll want to make everything! The recipes I’ve made so far did not disappoint! Some of my new favorites are Toasted Protein Mushroom Rolls, Southwest Scramble Breakfast Burrito, Acadian Black Beans and Rice, and Fresh Veggie Seitan Pit Pocket. I can’t wait to make more! 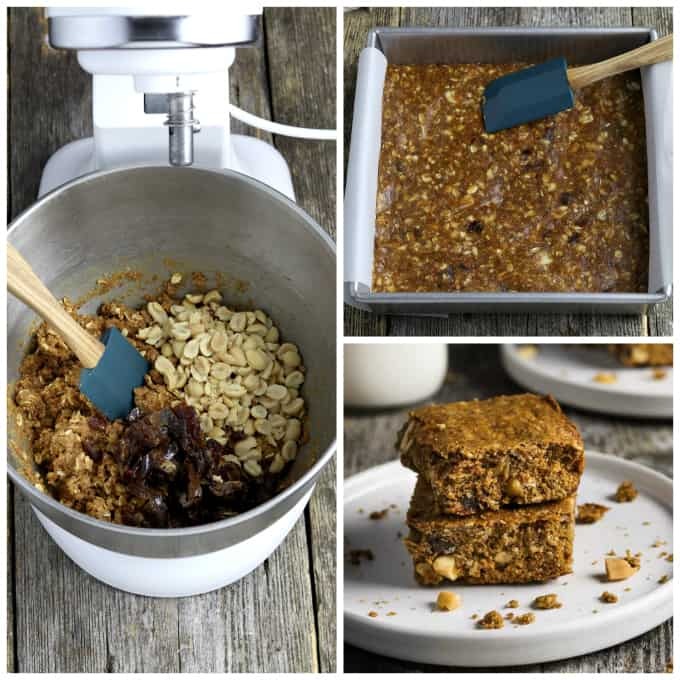 Mix the coconut sugar and peanut butter with a hand or Stand Mixer until it has a whipped consistency. Then add the vanilla and mix to combine. Add the whole wheat flour, garbanzo bean flour, baking soda, and baking powder and mix on medium speed. Now add the oats and mix for a few seconds. The dough will be stiff. Add the milk and mix on medium until just combined. Fold in the peanuts and dates with a spatula to incorporate well. You can use your hands to press the dough lightly into an 8-Inch Baking Pan. Bake until lightly golden brown about 15-20 minutes. Let cool on a wire rack before cutting into sixteen squares and store in the refrigerator. WANT TO TRY OUT MORE RECIPES FROM THE HIGH-PROTEIN VEGAN COOKBOOK? If you make these Peanut Butter Squares, let me know what you think by ★ star rating it and leaving a comment below. It would really make my day. You can also follow me on Instagram and share your creation with me. Just tag me @veganhuggs and hashtag #veganhuggs so I don’t miss it. A double peanut whammy is served up in this recipe. All is sweetened with whipped coconut sugar and dates. Preheat the oven to 350°F. Lightly grease an 8-Inch Square Baking Dish. 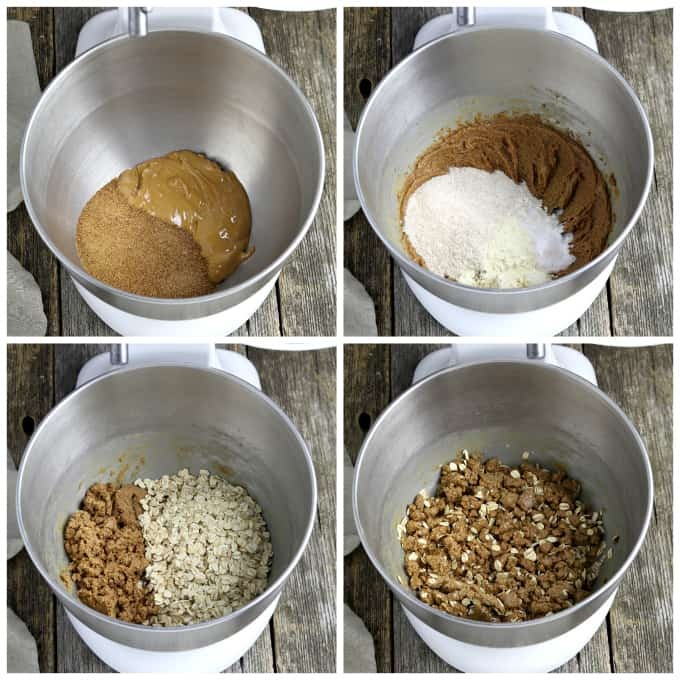 Mix the sugar and peanut butter with a hand or stand mixer on medium speed for 5 minutes. Mix in the vanilla. Add the flours, baking soda, and baking powder and mix on medium speed. Add the oats and mix for a few seconds. This will be stiff. Add the milk and mix on medium until just combined. Thank you so much Melissa! This is a wonderful review and I love your step by step process shots. I need to make these snacks again soon. You’re the Best!